Over the weekend I made a push to finish my Genestealer Cult before my big trip. 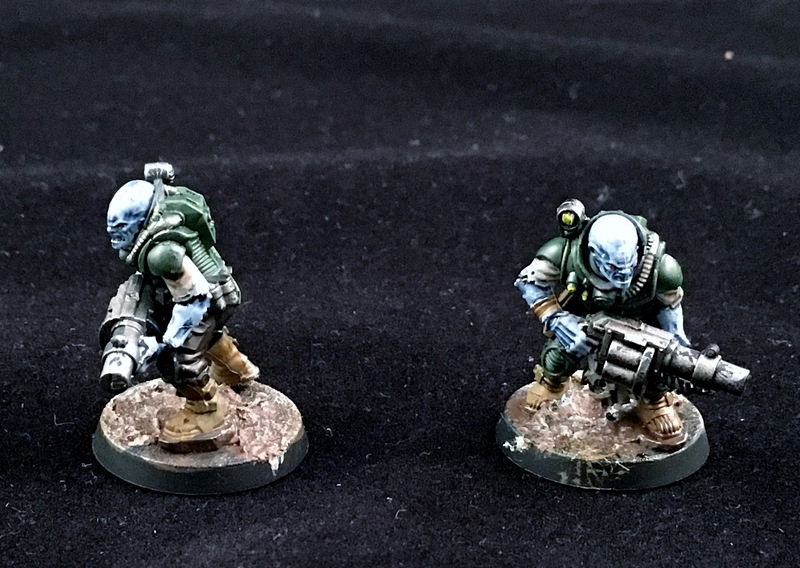 I was able to complete a batch of 11 neophyte hybrids. 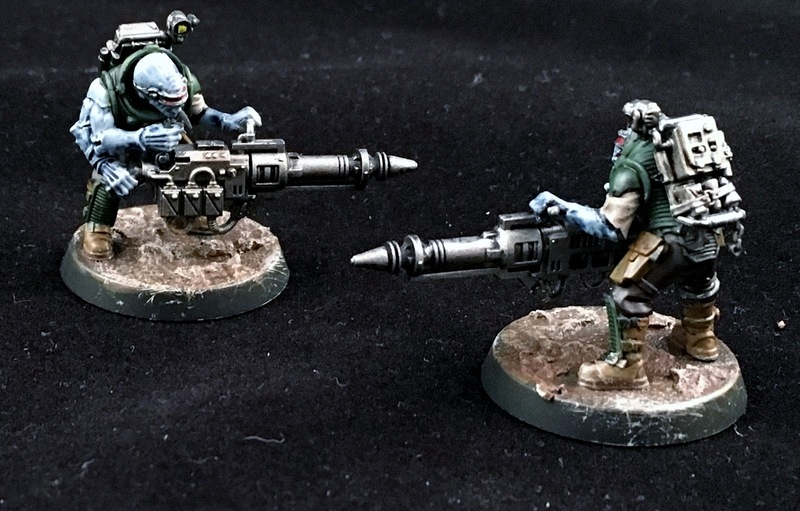 First up is a set of 2 mining laser neophytes. I did a head swap on one of these to switch it up a bit. 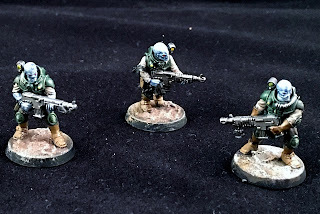 I tend to use these guys over the heavy weapons team. Most of the time the extra shot is worth the shorter range. It might hurt them turn one but usually by the second turn they have some decent targets. 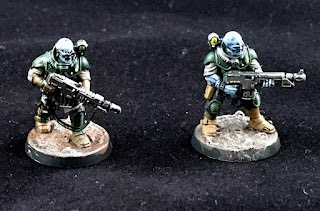 The next few images show 7 base neophytes. 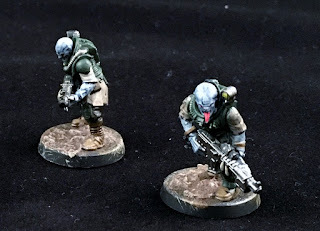 I know when batch painting other models (looking at your Termagaunts) it is very monotonous. There is enough variation or models and colors that I don’t feel the wash out I do with previous painting. It also might be that I have a goal and need to get this done quickly. I guess we will see how much I do after the deadline is up. 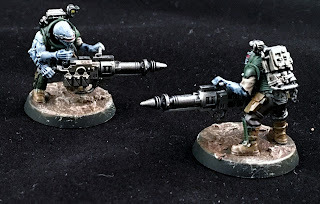 Last up we have 2 neophytes with grenade launchers. I accidently added these into my queue thinking they are normal neophytes. I figured they would have to be done sooner or later so I finished them now. With that we have a big bulk of my army painted. I created a 1500 point list including most of my models and I figure I have 19 left to finish. That comes to less than 10 a week. After they are done I need to make sure my other armies are fully painted as well. 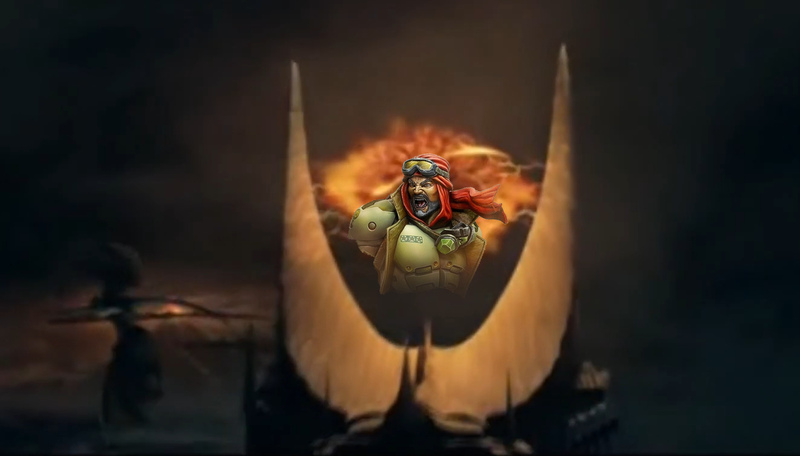 Crosses fingers! Have a great week and I will keep you updated on my progress! Questions? Comments? 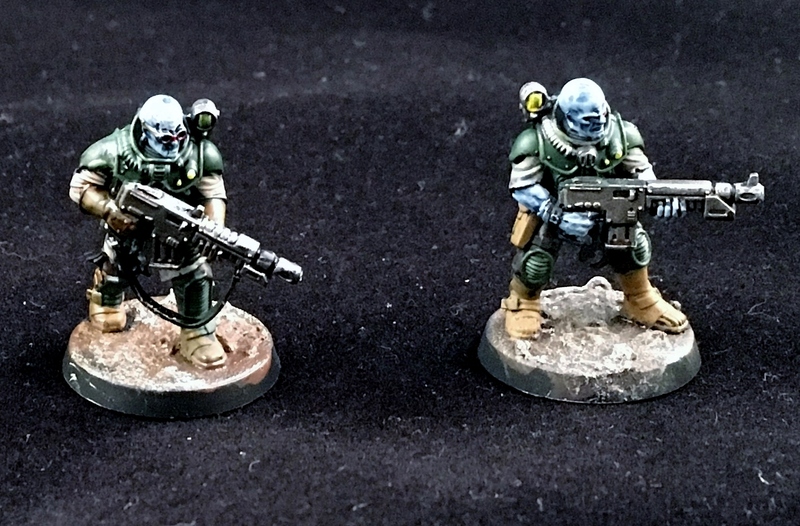 For the four armed emperor!